Read about the Open Streets Movement in Wichita Kansas, written by Troy Houtman, Texas CPM, Texas State University MPA Graduate, and now Director of Parks and Recreation in that city. As a nationally recognized designation, CPM graduates take their knowledge and experience across the country impacting communities everywhere. Nearly 120 Texas CPM alumni, faculty, and students gathered in Round Rock, Texas on Friday April 7, 2017, to learn, share and network at the Annual Texas Certified Public Manager (CPM) Conference. The Conference, which was held at the Texas State University Avery Center, featured the William P. Hobby Distinguished Lecture and a plenary session on Texas Politics & Policy Issues. The Hobby Distinguished Lecture is always a highlight of the annual conference. This year's honoree, Alan Bojorquez, is the Chairman of the Texas Center for Municipal Ethics, as well as, Principal and Chief Executive Officer of the Bojorquez Law Firm in Austin Texas. Read more about the conference and view videos here. Michelle Shepard, a Certified Public Manager®, has been appointed as the Public Works Director for the City of Aiken, South Carolina. She will report directly to the City Manager. 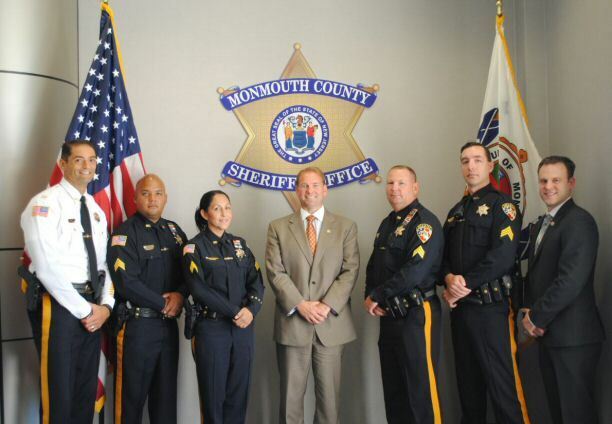 FREEHOLD, NJ - Sheriff Shaun Golden is pleased to announce the graduation of six employees from the distinguished New Jersey Certified Public Manager® Program from Rutgers University School of Public Affairs and Administration. 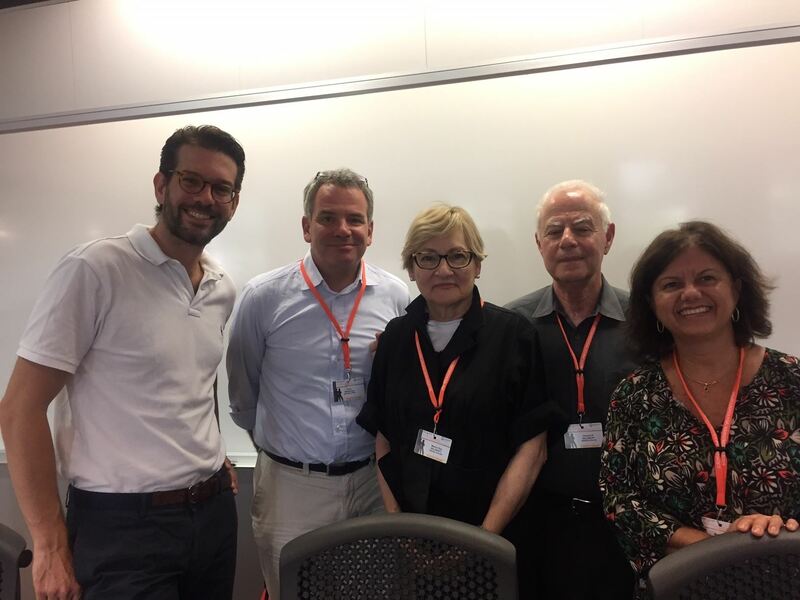 The ten month class which met one work day per week teaches public servants how to deal with the complex issues of an agency, as well as become more efficient, effective, fair and ethical, as they manage day to day operations within their divisions. Scott Wall, CPM, was hired as city administrator by the Willow Park City Council on Tuesday, August 9, 2016. Wall has more than 25 years of experience in city management. His career began in 1992 as city manager of Hondo, located near San Antonio. In 1999 he became assistant city manager of Lancaster. He was promoted to city manager a year later. Wall was then hired as the city manager of Sherman, a position he held for five years. In 2007 Wall became city manager of Leander. Two years later he was hired as assistant city manager of Tyler, where he stayed for about a year before taking the city manager position in Crandall in 2011. Wall holds a Bachelor’s degree in Public Administration from West Texas State A&M and a Master’s degree in Interdisciplinary Studies from Texas State University. He was the first city manager in Texas to complete the Certified Public Manager® Program from Texas State University’s William P. Hobby Center for Public Service Academy, according to his biography. Wall is also an International City Management Association Credentialed Manager. James Fisher, CPM, has been appointed as the new city manager of Forney, Texas. Fisher served as the city manager for Murphy, Texas from 2008 until his resignation in March 2016. During his eight-year tenure, Fisher saw the city’s population explode from approximately 11,000 to 20,000. Fisher previously worked for the cities of Port Aransas, Castroville, Muleshoe, and Bee Cave, Texas,” according to a bio released by the City of Forney last month. He is a Texas Certified Public Manager® and is a member of the Texas City Management Association where he has served as the Ethics Chairman and as President for Regions 4 and 7, according to the bio. He is also a member of the International City/County Management Association. 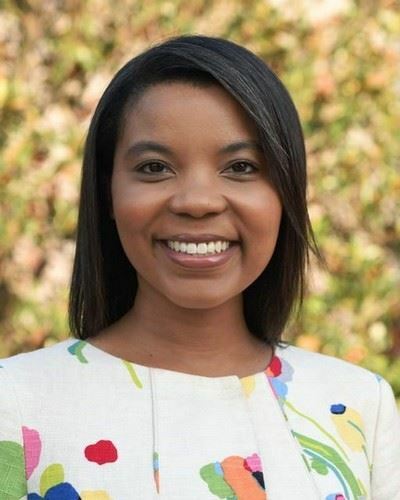 Fisher holds a master of public affairs from the University of Texas at Dallas and a bachelor of business administration in management from West Texas A&M University. Omaha, NE - Douglas County has received the prestigious Certificate of Achievement for Excellence in Financial Reporting from the Government Finance Officers Association (GFOA) for its Comprehensive Annual Financial Report (CAFR) for fiscal year ended June 30, 2015, Douglas County Clerk/Comptroller Dan Esch announced today. Dan Esch, CPM, is the Douglas County Clerk/Comptroller and a 2010 graduate of the Nebraska CPM Program. Douglas County is the most populous county in the state.